Owning a car is a truly exciting and a one-of-a-kind experience. This is especially true when you are young. Not only does it give you the ability to go wherever you want, whenever you want, but it gives you the freedom that you need from your parents. However, finding an affordable vehicle and purchasing it is only just half the battle. Next, you are going to have to apply for auto insurance, which is not going to be cheap. So, what are some of the best techniques and tactics that can help you keep your monthly payments to a minimum? You should know that a deductible is basically the amount of money you have to pay out-of-pocket, before the insurance actually kicks in. When you request high a deductible it reduces your overall monthly payments. In fact, if you raise your deductible to $500, you could potentially lower your collision and comprehensive coverage by as much as thirty percent. Going as high as a $1,000 might even help you get forty percent off. However, if you are going to opt for this type of tactic, you best make sure you have the deductible set aside just in case you do get into an accident. Did you know that you could get a car insurance quote in just a matter of minutes? Just because you are already locked in with a certain provider doesn’t mean that you are obligated to them. In fact, there could be another local provider out there that might offer you better coverage at a better price. Go online and shop around with tons of providers just to see if you can better your situation. Quotes are free to get and they are pretty easy to apply for these days thanks to the Internet. Do you have an older car sitting in the driveway that you hardly ever use? Sure, you don’t want to completely cancel the insurance on it because there is a chance that you might need it in the future. However, you can drop the current coverage on the vehicle, which will help reduce your overall monthly payments. It really isn’t worth having collision or comprehensive coverage on older cars that are worth less than what you are paying to insure them. You can always look up what the car is worth online and compare it to the premiums that you are paying. 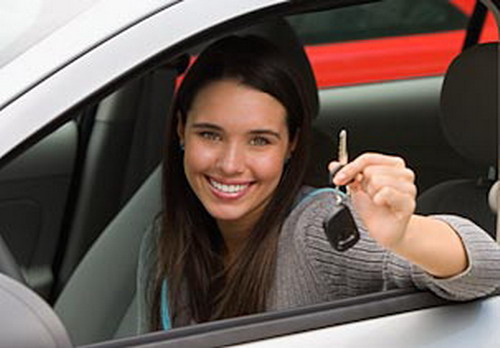 Driving courses aren’t just for new drivers or individuals who are required to take them. Just about anyone can take advantage of these classes and attending them can reduce your monthly car insurance premiums. Most car insurance companies like to know that their customers are taking the proper precautions to be safe drivers and they are willing to reward them for it. However, this will not apply to all providers, so you want to make sure that your provider offers these kinds of discounts, before you just up an pay for a safety driving course.